Dr. Urairat Yamchuti (Tom) is the President and Cofounder of The Thai Simulation and Gaming Association (ThaiSim). 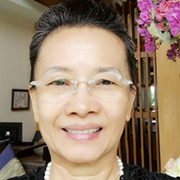 She is keenly interested in applying simulation and gaming (S&G) techniques in the education, and has promoted the “Teacher Certificate Program” at Thonburi University, Thailand to include S&G into the curriculum. She is also the Vice President in the academic affairs of Thonburi University and the Chairperson of ISAGA 2018 Conference. Dr. Songsri Soranastaporn (Songsri) is an Associate Professor in English, Faculty of Liberal Arts, Mahidol University, Thailand. She is an expert in English for Specific Purposes. She was the Coordinating Editor of the “Association News & Notes” column of Simulation & Gaming Journal, a Sage publication. She wrote a chapter in “Video Games around the World” edited by Mark J. P. Wolf with a foreword by Toru Iwatani, and printed by MIT Press. 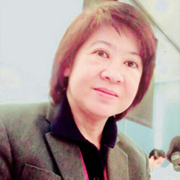 She is the Cofounder (2008) and the Secretary General of the Thai Simulation and Gaming Association (ThaiSim) and the co-Chairperson of ISAGA 2018 Conference. 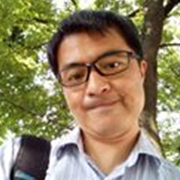 Dr. Ryoju Hamada (Hamada) is an Associate Professor in Business and Law, Sirindhorn International Institute of Technology (SIIT), Thammasat University, Thailand. He launched “BASE Project” in 2007 when he was in Tohoku University, Japan. He and his team produced various business games, after he moved to SIIT, such as manufacture, software, supply chain, and agriculture. He got a reward in ISAGA2014 Conference and from Japan Association of Simulation and Gaming (JASAG2014/Autumn). He is the Academic Chair of JASAG and the co-Chair of ISAGA 2018 Conference.